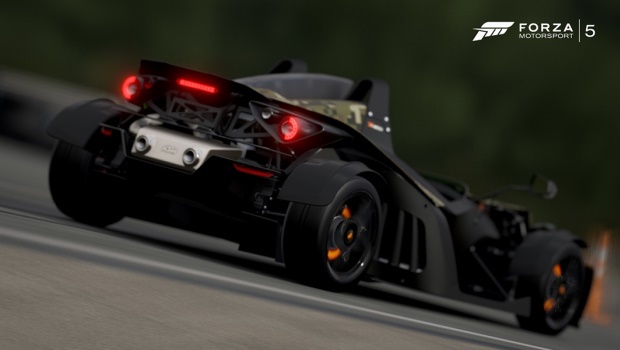 There’s a lot to be said about Forza Motorsport 5, and not all of it good. Well, Turn 10 Studios is listening, and they’re pushing out updates that should hit the market shortly. In fact, the update is currently going through certification, so we shouldn’t have too long to wait. Rather than having to read the entire week in review post, we’ve summarized the highlights of the upcoming update below. Keep the It where you’re trying to stay it for as long as possible by not being touched. The “It” status transfers when hit, and the winner is determined by who was “It” most. Pass the It is a more traditional version (and entirely opposite of Keep It) whereby you want the least amount of time, so tagging other cars is in your best interest. Tag Virus is where all tagged people become “It”, and the last uninfected driver is the winner. There will initially be class restrictions on each, where Virus is an S-class event and the other two are A-class restricted. A tuners dream come true, there is no handling, twists or turns to gain advantage. Simply put, get your speed on the straightaway with drag racing on the quarter, half, and full mile. With up to sixteen players in a lobby with one-on-one heats, they’re also adding up to eight simultaneous competitors. It looks like they’re planning on adding even more variants to this race type, but initially we can expect Ultimate Drag (for tuned cars of any class) and Ultimate Drag RWD which is a rear-wheel drive only variant. We can expect to see credits earnings to go up – a reported 60% based on average settings. By upping the challenge level you can earn even more. On top of that, Turn 10 has revealed that the most expensive cars are dropping in price, bringing down the overall cumulative cost to purchase all non-DLC cars by a whopping 45%. If you redeem your monthly rewards over at the Forza Rewards site, you will get credits sent to you from Turn 10, and while last months rewards were welcome, they were a pittance to the money sent this month. A Tier 1 person can expect 1 million credits. There are other minor improvements, including improving the max degree of rotation on the Thrustmaster TX Racing Wheel. We can’t wait to play the updated version!